Helps to avoid the formation of stones in the kidneys and gallbladder and may also shrink existing stones in these organs. Gravel Root has been utilized to flush the bladder and kidneys with increased urine flow and help to remove gravel, stones and accumulated toxins from these organs. This action has been beneficial in relieving gout, rheumatism and the stiff joints associated with accrued uric acid in the kidneys. 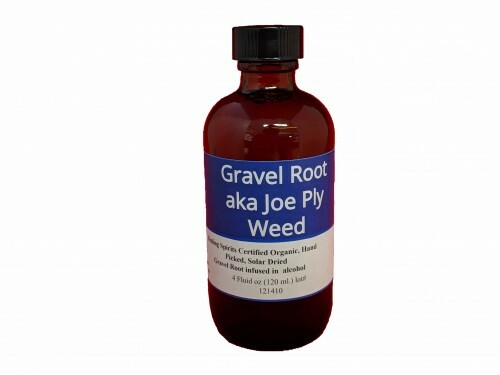 Moreover, Gravel Root is also used to relieve inflammatory urinary tract infections, including cystitis, prostatitis, urethritis, vaginitis and leucorrhoea.